Adjacent chart shows price movement of NCDEX Soya oil continuous contract. Over last several months the agri commodity has been rising steadily in a channelized manner. 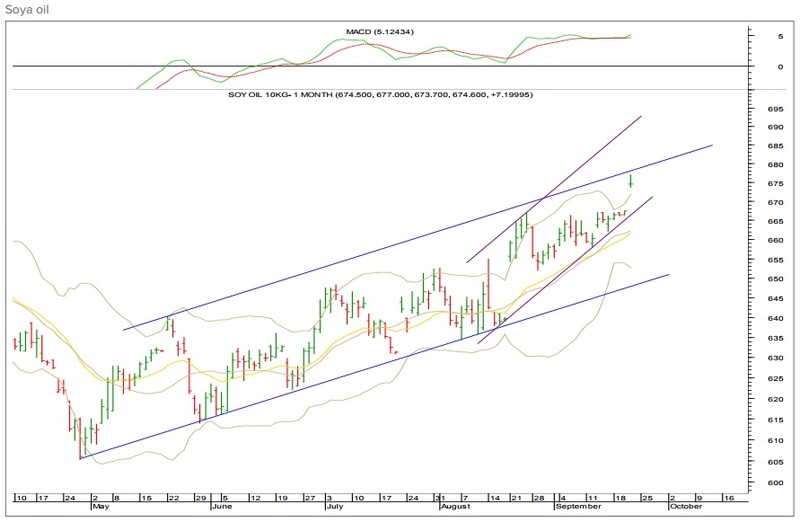 With the recent gap up opening for the October contract the price has reached near the upper channel line. Though the short term as well as medium trend is positive, 678- 680 is a key hurdle zone to watch out for. Once that is taken off on closing basis the commodity can head towards 692-695. On the other hand, 670-667 is a crucial support area for the oil.